Please know that at any time you may call Chosen Parents Adoptions™ , confidentially and with no obligation , and speak to an Expectant Mother Advocate. We are here to listen to you , and to give you options. Our staff is 100% nonjudgmental and you will not be pressured. Call 866-222-9284 or fill out our contact form . An unplanned pregnancy can be confusing and frightening. You have a maze of choices available, and Forever After Adoptions is ready to assist with the professionalism, compassion and experience that each participant in the adoption process deserves. Chosen Parents Adoptions™ is a unique service that is employed by licensed adoption agencies and attorneys throughout the United States. If you are currently dealing with an unplanned pregnancy and are considering adoption, we can describe to you the advantages of multiple services so that you can make an informed decision as to which service will best fit your needs. Don’t get stuck with a service that is unable to meet your needs. Members of our staff have all been involved in the adoption process themselves personally, either through adopting a child into their families, or through the placement of a child. Through personal experiences and years of assisting others like yourself through the process of adoption , our staff are experts at being able to help give you solid advice and direction throughout the process. We are happy to present reliable information on adoption 24/7 for birth parents. Our adoption help includes immediate answers by our caring and professional staff. In most cases we are able to advise you about matters such as housing, living expenses, counseling costs, and medical expenses. Please note that we refer birth parents to only accredited state licensed adoption services. Step 1 – Making the decision. Chosen Parents Adoptions™ will never attempt to convince you that adoption is the right choice for you. This is your baby and your choice. We are here to listen to you. We are here to support you. We will never advise you on whether this is the right decision. Adoption is a choice that needs to be made by you…perhaps with the advice and support of the father of your baby, your parents, close friends and/or religious advisor. Contacting Chosen Parents Adoptions™ does not obligate you to choose adoption; it just gives us a chance to get to know you so that we can help you move forward with the option that makes the most sense for you. We are a private service so all of your information and the phone call itself are completely confidential. It is our belief that most women make the decision to give their child up for adoption because they want what is best for their child. They feel ill equipped to provide emotionally, physically and/or financially for their child, and so they provide their child with a family that will. It is a big decision…perhaps the biggest that you will ever make in your life. It affects many people. You and your family, your child’s father and his family, the adopting parents and their family…and of course the child. Adoption is permanent. If your life changes down the road and you feel that you are in a better position to be able to parent, the adoption cannot be reversed. Careful consideration needs to be given. Cost ? The process of adoption will not cost you anything . The parents that you choose to adopt your baby will pay all of the legal costs involved. These costs may include all attorney costs , court filing fees and required social workers. In addition , they may be able to financially support you during the pregnancy. This will be discussed in detail once you have made a decision. My family doesn’t know.. what are my options? We can discuss housing alternatives if you are requesting to relocate so that your friends and family members do not have to be privy to your pregnancy. relocation is possible, and we can recommend maternity homes or you can have your own efficiency hotel or apartment. What about the father ? Every state has different laws regarding termination of father’s rights. Just remember, the father can not force You to raise a child if you do not feel like you are able to meet your child’s needs. We can set up a free consultation with an attorney who can advise you regarding his rights. Will I be able to stay in contact with my child? Yes, open adoption allows you to have ongoing future contact with the family that adopts your child. You can meet them and get to know them during the pregnancy . Many families commit to annual or bi annual visits. The choice is yours. Once you have made a decision , we are ready to assist you in making an adoption plan. Chosen Parents Adoptions™ is committed to creating your adoption plan the way that YOU want it planned. Today, women have more control over their adoption plans than ever before by choosing nearly every aspect of the adoption. Adoption is the legal act of permanently placing a child with someone other than the child’s biological parents. Open adoption includes the birth parents and adoptive parents meeting one another, sharing full identifying information, and having direct access to ongoing contact over the years. There are many benefits to open adoption. The birth parents feel at peace knowing they have created the adoption. Ongoing contact through the years enables birth parents to confirm that they made the best decision for their child. The adoptive parents feel chosen and entitled to parent their child. In addition, because they know the birth parents, they do not fear an unknown figure. The child benefits most of all because they know where they came from and where they belong. They also have access to information about their birth parents including cultural and medical history.. There are no rules as to the amount of contact .Some families opt for annual pictures and letters, or perhaps no ongoing contact while some of our families have chosen to have regular “visits” with the birth parents and their extended families. These visits may be arranged annually or more. The important thing is knowing that the type of adoption plan that is best for you and your child is YOUR choice .As the Expectant mother, this is your baby and your choice. once you have made the decision to move forward with adoption , it is time to think about what you want. How do you envision this pregnancy ? Do you want the adopting parents to attend doctors appointments ? The birth? How do you envision your relationship with the adopting parents ? How do you envision your relationship with your child? Ongoing contact ? Visits ? Step 3 – Choosing the RIGHT Family. It always give birth parents peace of mind to envision that a family member or a friend is going to adopt their baby. The thought of someone that they are familiar with raising their child gives them peace of mind that their child will be loved and that their needs will be met.Unfortunately , such arrangements rarely work out the way that they are intended. Families that adopt need to work through the process emotionally before they are ready to adopt a child and to embrace him/her into their family unit. Certainly the thought of adoption has crossed the minds of most people at some point during their family development years, but of course most people are able to have biological children and so don’t ever get to the point of taking the steps to adopt.For those that cannot have biological children , but have considered adoption need to go through a grieving process of letting go of the dream of giving birth to a child before they are really able to begin the process. Everyone loves babies. Well, at least most people do. So it is understandable that when an opportunity arises for someone and they are notified that a friend or a family member is pregnant and is not able to care for their child, and is seeking parents for her unborn child, that many people would impulsively jump up and volunteer. What sounds great initially slowly transforms during the process. The friend or family member learns that they need to pay for an attorney to legalize the adoption, and undergo the intrusive process of getting a home study done. In addition , the birth mother usually feels ill at ease requesting the financial assistance which she is entitled to , and will usually forego the help that she would have received otherwise.As the date of the birth nears, we see time and again that the person that the birth mother found to adopt her child has cold feet , and has left the mother high and dry , wasting precious time that she should have spent bonding with the family that does end up adopting her baby. Oftentimes they realize , later rather than sooner, that they are not ready to adopt. Chosen Parents Adoptions™suggests that you do NOT try to locate an adoptive family online. There are many sites that post “profiles” of families that are seeking to adopt online. These profiles usually consist of an album of photos and a introduction of he family that is seeking to adopt, usually written by themselves. You may even have come across such profiles when you were doing a search and found our website. The downfall of attempting to seek out an acceptable family through this means is that these families may not even be qualified to adopt ! In order to adopt legally , the family must have a current and approved home study, which consists of a thorough background check. There is no way that you can possibly know this by looking at their profile. By contacting a state licensed adoption agency or a qualified adoption attorney , you can be assured that the family that yo choose is qualified to adopt your child. The internet has made it possible to relay information expediently and efficiently, and as a result there has been an influx of services that have popped up that solely promote parent profiles so that potential birth mothers can search for a family without the assistance of a licensed agency or attorney. These “marketing ” services , unfortunately, are unregulated and are under no legal obligation to ascertain that these families are who they purport to be. The families that are posted may not have a completed home study, which is necessary in order to adopt. You may also feel very awkward calling these families directly without having an adoption professional to support you. Please be very wary about such sites. If you wouldn’t search for an adoptive family on Craigslist or another such site, then you would probably want to avoid such Parent Profile sites. There are , of course, legitimate sites that are owned and operated by state licensed agencies and attorneys. 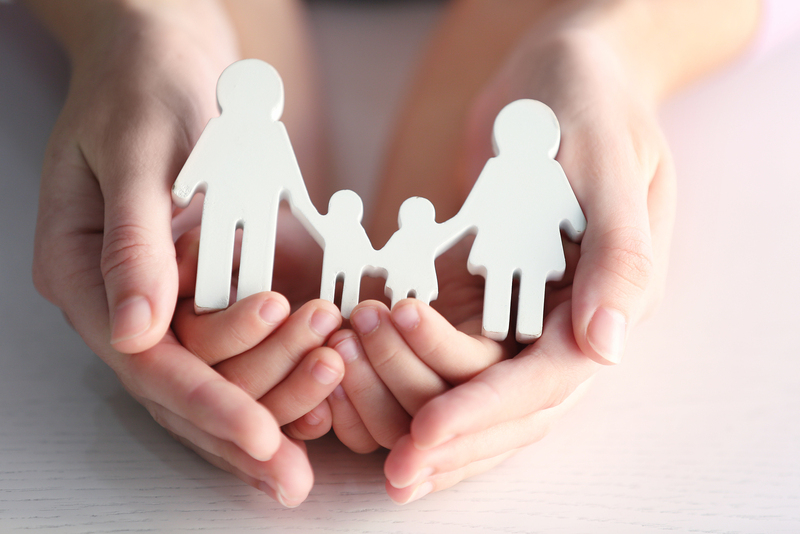 These sites feature Parent Profiles of families that have employed them, and have been professionally assessed prior to their profile being posted. The problem , though, with wasting your time pouring through these profiles in search of the family that you believe will be perfect for your child , is that the family that you finally choose may not , in fact, be the right “match ” for you at all. They may not have the finances to be able to afford the situation, or they may not want annual visits, unlike you. That is why we do not post Parent Profiles on our site. We want to make sure that the families that are presented to you are fully qualified for YOU. We don’t want you to go through the disappointment of thinking that you have found the right family , and then realizing that they are not. Remember, when you work with Chosen Parents Adoptions™, you are assured that you will be working only with a licensed professional and that the families that are presented to you are home study approved and committed to adoption. What Should I look for in an Adoptive Family ? Location. If there are to be agreed upon visits with you and your child, is the family within close proximity to accommodate such visits ? If not, how will travel arrangements be made ? Do they plan to relocate after the adoption ? Of course, things may come up later such as a job transfer, but if the plan is to have visits and they live within a short distance, it would benefit you in making your choice of a family if you knew in advance that they were , indeed, planning to relocate in the near future. Culture. There are many families that are adopting children outside of their own racial and cultural identities. Will they introduce your child to his/her own culture ? Do they live in a culturally diverse neighborhood where your child will feel a sense of belonging and have culturally similar peers ? Finances. Is this family able to offer your child the things that you feel that you are unable to offer him/her ? Most women that consider adoption for their child are doing it , in part, for economic reasons. In addition, you may have additional expenses due to the pregnancy that is customary for the adoptive family to pay. There will also , of course , be legal fees and other costs associated with the adoption itself. Reasons for adopting. There are many families that are physically unable to have children. Adoption is the only way that they will ever be able to have a child to raise . There are also families that have their own biological children, but just want a larger family and are under the (mistaken ) impression that there are newborns that need adoptive homes. Most women prefer that their child go to someone that cannot have their own biological children, but of course this is something that you will need to ask before choosing a family. Open or closed. It is important to choose a family that envisions the same type of ongoing relationship that you are searching for. If you want annual visits, for example, it is necessary to choose a family that is seeking the same thing. Step 4 – Developing a Relationship with the Family that Adopts your Baby. This is the part where Chosen Parents Adoptions™ may differ once again , from other services. Many adoption services promise what they call “open adoption”, but we feel that their idea of “open” and ours can be quite different . Some services show expectant mothers profiles, and they are given first names of the parents. They are allowed to speak to them via conference calls, with the agency social worker on the line. Sometimes they are given an 800 number to call the adopting parents direct , but this number is disconnected after the birth and all future contact is funneled through the agency . This is NOT what Forever After Adoptions™ or their associates will do. You will receive the parents’ first and last names, you will have their phone number and know where they live. You can meet them in person , one on one, without third party interference. We hope that you can get to know them well enough that you can consider them friends.. and maybe even family. You are entrusting these people with your child.. you have every right to know who they are . Step 5 – The Birth of your Child. Hopefully by this time , you have thought about how you would like this day.. or days to go. Perhaps you had decided to spend some time with your child while you are in the hospital, and you now decide that you would prefer that your baby room in with the adopting parents . No matter what your initial plan was, if you change your mind at this time , that is your right . You even have the right to change your mind completely and keep your child. Obviously , that is not what you had intended when you made this plan , but the maternal instinct can be overwhelming and we want you to understand that this is your child and your right. Every state has different laws regarding the termination of parent’s rights. That will have been discussed with you and you will be aware of the next steps. Some states require that you appear in person in front of a Judge. At some point your child has been born , consents and relinquishments have been signed , and your child is being loved by their new parents. We will hope that we have been able to help in making this a positive journey for you , as we consider it a great privilege and honor to be able to assist you in this very important life event. Best wishes to you and please feel free to reach out to us if you have any concerns or questions and we will do our best to assist you !